There are three videos in this series. 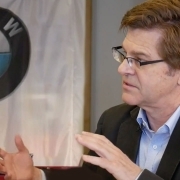 If you have not already watched it, we recommend starting with the first video, “The Mobility (R)Evolution- Part 1: Electric and Autonomous Vehicles”, which is available here. Jim: We’ve talked about electric and autonomous vehicles (AVs) as well as charging and renewable energy. It strikes me that a third area of this mobility ecosystem will be around data. AVs have lots of sensors that create a lot of data. That data needs to be stored, acted on, and learned from. Intel did an interesting study looking at AVs and estimating how much data they create. The numbers were in the range of 4,000GB/day/vehicle. In order to store and process that – we’ll need millions of computers, millions of servers in the data center cloud. If you take the big mega data centers of companies such as Amazon, Google, and Baidu – it is thousands of new data centers like just to process the data from a near future world of AVs. With that amount of data and data center demand, you have to be efficient with your energy. This plays into my world because GaN semiconductors are used in the power supplies of server racks. Smaller power supplies mean denser server racks (more servers in the same space). That means more terabytes per square meter, and more revenue through that data center. This kind of story around the importance of energy efficiency and data centers is another example of how all of the elements of the whole sustainable mobility ecosystem need to be seen as interconnected – in order for us to realize the kinds of environmental benefits we have been discussing. Uwe: I totally agree. The need for additional data centers, storage, infrastructure, and 5G to connect the vehicles is super relevant. We need to have infrastructure that can efficiently process data and not produce more pollution on the data center side than the vehicle side does today. We don’t want to be in a world where we shift the source of pollution generation from vehicles to data centers. In the world of mobility, there will be two different kinds of data centers. One of them already exists to support the kinds of connectivity that vehicles have today, and the data privacy obligations that accompany that. 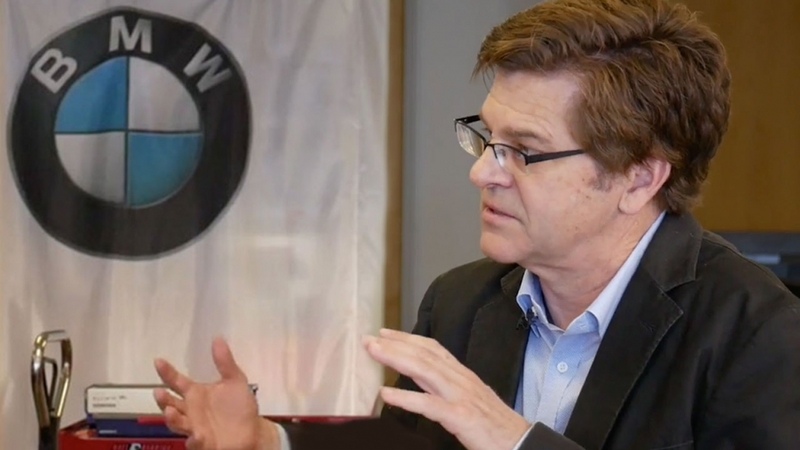 What the auto industry does, and BMW does, is to have their own cloud that enables all of the privacy features to put the customer in control of their own data. The second type of data center is for the autonomous world to support the complexity of building an autonomous stack. I do not see the AV driving stack as being owned by the vehicle manufacturer. I see a consolidation in the autonomous driving stack and that means the data centers as well. I see the evolution of perhaps two consortiums, A and B, that will have data center infrastructure A and B to then provide the autonomous driving brain to all vehicles. Jim: Interesting – So two types of data centers. One is where the car company takes care of the customer data. And a second is where a lot of data is aggregated and used to make the whole autonomous vehicle driving experience better. Let’s move to another area of the greater mobility ecosystem – one that maybe people don’t think about that much – the factory and manufacturing processes. They’re changing. Uwe: That’s right. Robots, transportation solutions for moving goods coming from A to B, new ways of manufacturing with 3D printers, and new ways of rethinking logistics and producing on-site to fulfill demand when it occurs. Jim: Those things need small and efficient electronics. There are batteries sometimes involved. This efficient sustainable mobility ecosystem even plays across the factory floor. Jim: Electronics have certainly become an important part of our lives. Generating the power and efficiently getting that power to the electronics is a big job. It requires new devices, new materials, and new ways of thinking to meet those challenges. Uwe: It’s all about speed in understanding and bringing different technologies to market. And we want to be able to deploy and build them in a win-win situation for all parties involved. For more videos from GaN Systems, visit the Video Section.